High proficiency and measurable results. To help our clients realise their full commercial potential on the web. What is YOUR true potential on the web? Ascolta, osserva, valuta personalmente. Qui ci sono le interviste di alcuni nostri clienti che raccontano la loro esperienza con Prima Posizione. Come è stato per loro, abbiamo centinaia di altre storie di successo da raccontarti. Questo è il nostro orgoglio e la realizzazione di tutti i nostri sforzi: la TUA vittoria nel web. Ind.i.a Spa rafforza la sua presenza online e ottiene nuove lead! In 4 mesi Dorin raccoglie 100 lead dall'India! Italian Coffee scopre nuovi mercati online! 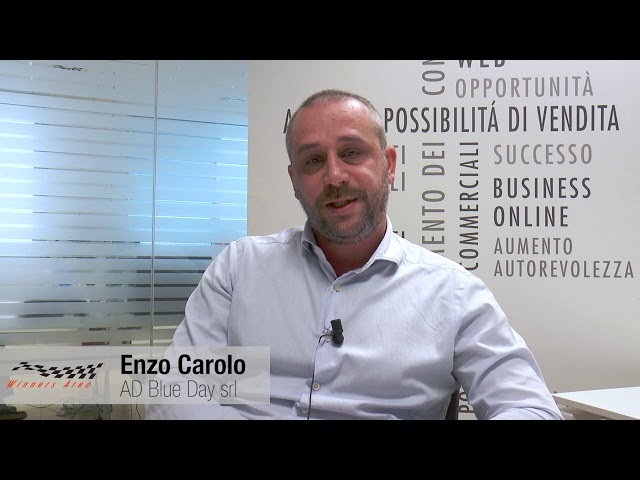 BlueDay.it: grandi soddisfazioni dal web marketing! Xacus.com esplode con +321% di accessi nel 2014! Funnybooth.it espande la propria attività su tutto il territorio nazionale! Piavettini scopre la strategia dei competitors online! OTL: + 100% visite da Google.com! Emergenza Sorrisi +890% contatti e donazioni rispetto al 2014! Lucenti Group: tasso di conversione delle lead 1:3! Tobe.it nel 2014 genera +373 opportunità commerciali dal mondo! +18% traffico sul sito dal 2014 al 2015 per Veco Srl! Prima Posizione was born as a result of a lucky meeting between Business Developer Giuliano De Danieli and Web Expert Michele De Capitani. A winning synergy, whose key ingredients have always been top-quality services for clients, as well as energetic and spot-on strategies aimed at company expansion. A relentless and successful expansion since the first spark. This photo gallery is all about who we are and where we work. You are WELCOME to the world of Prima Posizione. We have great competence in planning online marketing strategies aimed at reaching your “typical client”. Thanks to our experience, we master any web promotion channel to increase commercial opportunities. We are specialised in giving websites high visibility thanks to the optimization and promotion on search engines, in particular on Google. SEO is one of the best instruments to develop targeted traffic. To obtain tangible business results using all the potential of the new instruments of digital communication: this is our mission on social networks for companies. To actualize and obtain results from Facebook, Twitter, Youtube, Linkedin, Google Plus, Pinterest and other sites of social sharing. Thanks to our partnership with Google, we offer maximum competence for promotional campaigns on search engines. These campaigns are aimed at obtaining concrete results to find new clients through targeted visibility and adequate communication. If an image is worth a thousand words, a video is worth a thousand images. This is the power of Video Marketing, probably the most viral promotional channel available today on the planet. We study projects to obtain high global visibility, with investments that are proportional to the goals you have actually reached. The web is a highly technical subject. Therefore, in order to stand out over the years, we have been constantly providing in-depth striving-for-excellence training to new technicians, who have become the experts of today. We have successfully trained many young people, guaranteeing them a career in the web, as a part of our staff or as freelance specialists. Since we are so good at applying the rules of the virtual world, but also at transmitting our know-how and expertise, we have decided to open the doors of our exclusive Academy to aspiring webmasters. The courses of the Academy are now available to our clients and their staff, too. Admission is subject to an entrance test. Book here your seat for 2015! Our exclusive Academy opens its door to the public to create new talents. For many, the web is not an easy subject: it is a complex and highly technical world. This is the reason why we have developed a multi-level training programme which fosters those who prove to have a natural aptitude with concrete career possibilities and, at the same time, dedicates special attention to those who are unfamiliar with the subject. Often, candidates willing to study at Prima Posizione, present different levels of web knowledge, personal talent and know-how. That’s why we ask candidates willing to enter the Academy to pass an entrance test. This test allows us to evaluate talent, limits and natural aptitudes, as well as the actual level of knowledge on the subject. If we ascertain that we cannot actually help candidates become real web marketers, they will not be admitted. Obviously, the “cadets” of Prima Posizione immediately start breathing the atmosphere of a web agency. They are trained by webmasters who are active on the market on a daily basis and they will soon have to deal with the world of real companies, with the constant help and supervision of a qualified expert. The learning path is made of a balanced mix of theory and practice, in order to guarantee efficacy and proficiency as soon as the student has assimilated the basics. The final internship takes place in real companies and the student will have to solve real and actual visibility problems, online sales and ranking issues, etc. Training ends when the student has reached operational proficiency on the specific subject. The web represents a fascinating present but – most of all – it has become a CERTAIN future. The world of communication is entirely shifting to the web and it is already clear that many professions can no longer ignore this subject to be up with the times. Nowadays, besides young people striving for a successful career in the web industry, businessmen and managers can be interested in a custom in-depth knowledge about the possible solutions for expansion on the web. The Academy of Prima Posizione is the most complete and professional answer to those who want to win on the web. Many businessmen invest in the proficiency of their staff and choose to conduct the web marketing activities that are necessary for the expansion and growth of sales within the company. The Academy of Prima Posizione gives the opportunity to provide training and refresher courses about web-related subjects to the specialists of the company. The training offered by our Academy to company staff is never “theoretical”, on the contrary it is always practical and immediately applicable, after each lesson. The instructors of our Academy are actually the best technical experts in our company and with their work they obtain an increase in accesses and visibility, conversions and online sales for hundreds of prestigious Italian companies. Your staff will learn from the best. Measurable results coming from a close synergy with the client. Any of the services offered by Prima Posizione is extremely performing and leads to a tangible success. The main source of our success is the quality of the services we offer. Contact us to give a boost to your web ranking.